At the heart of the Vobal Network is our core VoIP Technology which provides monumental end-user pricing flexibility and uses an astonishingly low amount of bandwidth while still maintaining excellent call quality, even over the extremely challenging satellite network connections found at sea. Once connected to the Vobal Network (via one of the methods below), crew members can start calling friends and family members at home. A connected crew is a happier, more productive crew. Utilizes less than 8 kbps per call on average, which includes voice and overhead in both directions (it's actually less than 6kbps, but we didn't want to brag). Uses less than 5MB per month on "idle" bandwidth (compared to about 50MB per month for a typical VoIP phone). Optimized VoIP processing insures highest quality calls -- even over the Standard IP Channel of FleetBroadband. Let's see your typical VoIP do that! 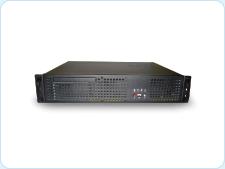 Readily compatible with all firewalls and broadband IP networks (VSAT, FleetBroadband, C-band, or any combination). Optional On-Net calling plan available to connect devices with a simple extension. 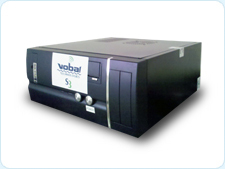 Extends the GSM footprint of Vobal's S3 base station server to cover the entire ship, including container holds. By adding GPRS capability, CargoGSM 'plugs the hole' for end-to-end container and Reefer monitoring and tracking at sea. Immediately and automatically forwards any Reefer alarms. Installation can be completed in less than 8 hours by ship's Electrician, with remote support from Vobal. Compatible with VSAT and FleetBroadband, so does not require upgrading an existing FBB system. When a vessel hosts our S3 base station server on-board, Vobal provides GSM 900 Mhz service running on top of the core Vobal VoIP Network. No need to swap out SIM cards! No cost to crew to connect to network; they can immediately start talking and texting each other on board for free. Incoming and outgoing calling and SMS. Two models available: standard 19” 2U rack and a more compact model (shown to the left) that is more of a PC form-factor.